The most severe mass extinction in Earth's history occurred with almost no early warning signs, according to a new study by scientists at MIT, China, and elsewhere. The end-Permian mass extinction, which took place 251.9 million years ago, killed off more than 96 percent of the planet's marine species and 70 percent of its terrestrial life—a global annihilation that marked the end of the Permian Period. The new study, published today in the GSA Bulletin, reports that in the approximately 30,000 years leading up to the end-Permian extinction, there is no geologic evidence of species starting to die out. The researchers also found no signs of any big swings in ocean temperature or dramatic fluxes of carbon dioxide in the atmosphere. When ocean and land species did die out, they did so en masse, over a period that was geologically instantaneous. "We can say for sure that there were no initial pulses of extinction coming in," says study co-author Jahandar Ramezani, a research scientist in MIT's Department of Earth, Atmospheric, and Planetary Sciences. "A vibrant marine ecosystem was continuing until the very end of Permian, and then bang—life disappears. And the big outcome of this paper is that we don't see early warning signals of the extinction. Everything happened geologically very fast." Ramezani's co-authors include Samuel Bowring, professor of geology at MIT, along with scientists from the Chinese Academy of Sciences, the National Museum of Natural History, and the University of Calgary. 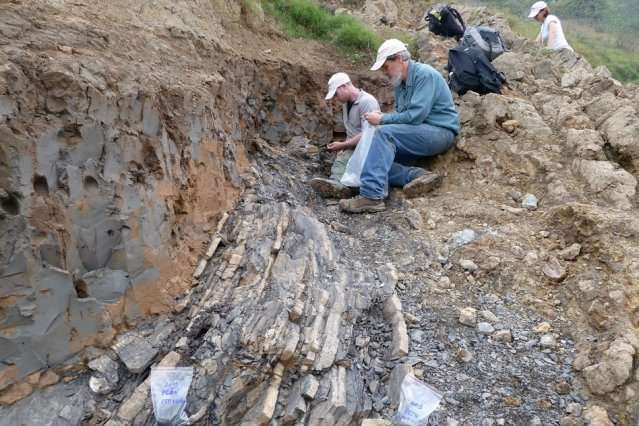 For over two decades, scientists have tried to pin down the timing and duration of the end-Permian mass extinction to gain insights into its possible causes. Most attention has been devoted to well-preserved layers of fossil-rich rocks in eastern China, in a place known to geologists as the Meishan section. 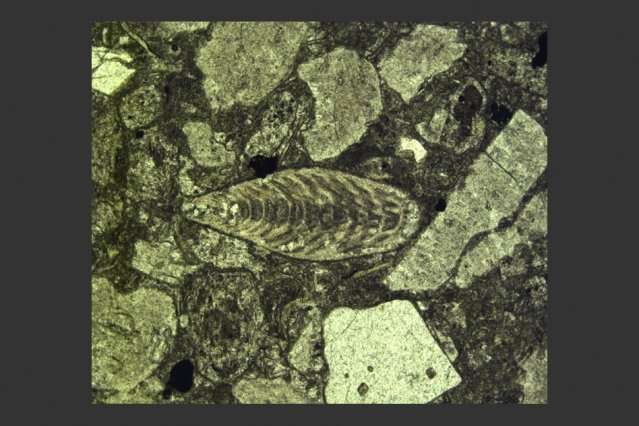 Scientists have determined that this section of sedimentary rocks was deposited in an ancient ocean basin, just before and slightly after the end-Permian extinction. As such, the Meishan section is thought to preserve signs of how Earth's life and climate fared leading up to the calamitous event. 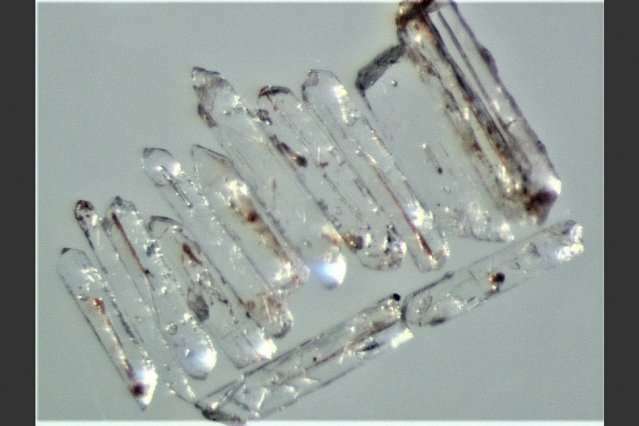 "However, the Meishan section was deposited in a deep water setting and is highly condensed," says Shuzhong Shen of the Nanjing Institute of Geology and Palaeontology in China, who led the study. "The rock record may be incomplete." The whole extinction interval at Meishan comprises just 30 centimeters of ancient sedimentary layers, and he says it's likely that there were periods in this particular ocean setting when sediments did not settle, creating "depositional gaps" during which any evidence of life or environmental conditions may not have been recorded. In 1994, Shen took Bowring, along with paleobiologist Doug Erwin, now curator of paleozoic invertebrates at the National Museum of Natural History and a co-author of the paper, looking for a more complete extinction record in Penglaitan, a much less-studied section of rock in southern China's Guangxi province. The Penglaitan section is what geologists consider "highly expanded." Compared with Meishan's 30 centimeters of sediments, Penglaitan's sedimentary layers make up a much more expanded 27 meters that were deposited over the same period of time, just before the main extinction event occurred. "It's from a different part of the ancient ocean basin, that was closer to the continent, where you might find coral reefs and a lot more sedimentation and biological activity," Ramezani says. "So we can see a lot more, as in what's happening in the environment and with life, in this same period of time." The researchers painstakingly collected and analyzed samples from multiple layers of the Penglaitan section, including samples from ash beds that were deposited by volcanic activity that occurred as nearby seafloor was crushed slowly under continental crust. These ash beds contain zircons—tiny mineral grains that contain uranium and lead, the ratios of which researchers can measure to determine the age of the zircon, and the ash bed from which it came. Ramezani and his colleagues used this geochronology technique, developed to a large extent by Bowring, to determine with high precision the age of multiple ash bed layers throughout the Penglaitan section. From their analysis, they were able to determine that the end-Permian extinction occurred suddenly, around 252 million years ago, give or take 31,000 years. The team also analyzed sedimentary layers for fossils, as well as oxygen and carbon isotopes, which can tell something about the ocean temperature and the state of its carbon cycle at the time the sediments were deposited. From the fossil record, they expected to see waves of species going extinct in the lead-up to the final extinction horizon. Similarly, they anticipated big changes in ocean temperature and chemistry, that would signal the oncoming disaster. "We thought we would see a gradual decline in the diversity of life forms or, for example, certain species that are known to be less resilient than others, we would expect them to die out early on, but we don't see that," Ramezani says. "Disappearances are very random and don't conform to any kind of physiologic process or environmental effect. That makes us believe that the changes we are seeing before the event horizon are not really reflecting extinction." For example, the researchers found signs that the ocean temperature rose from 30 to 35 degrees Celsius from the base to the top of the 27-meter interval—a period that encompasses about 30,000 years before the main extinction event. This temperature swing, however, is not very significant compared with a much larger heat-up that took place after most species already had died out. "Big changes in temperature come right after the extinction, when the ocean gets really hot and uncomfortable," Ramezani says. "So we can rule out that ocean temperature was a driver of the extinction." So what could have caused the sudden, global wipeout? The leading hypothesis is that the end-Permian extinction was caused by massive volcanic eruptions that spewed more than 4 million cubic kilometers of lava over what is now known as the Siberian Traps, in Siberia, Russia. Such immense and sustained eruptions likely released huge amounts of sulfur dioxide and carbon dioxide into the air, heating the atmosphere and acidifying the oceans. Prior work by Bowring and his former graduate student Seth Burgess determined that the timing of the Siberian Traps eruptions matches the timing of the end-Permian extinction. But according to the team's new data from the Penglaitan section, even though increased global volcanic activity dominated the last 400,000 years of the Permian, it doesn't appear that there were any dramatic die-outs of marine species or any significant changes in ocean temperature and atmospheric carbon in the 30,000 years leading up to the main extinction. "We can say there was extensive volcanic activity before and after the extinction, which could have caused some environmental stress and ecologic instability. But the global ecologic collapse came with a sudden blow, and we cannot see its smoking gun in the sediments that record extinction," Ramezani says. "The key in this paper is the abruptness of the extinction. Any hypothesis that says the extinction was caused by gradual environmental change during the late Permian—all those slow processes, we can rule out. It looks like a sudden punch comes in, and we're still trying to figure out what it meant and what exactly caused it." "This study adds very much to the growing evidence that Earth's major extinction events occur on very short timescales, geologically speaking," says Jonathan Payne, professor of geological sciences and biology at Stanford University, who was not involved in the research. "It is even possible that the main pulse of Permian extinction occurred in just a few centuries. If it turns out to reflect an environmental tipping point within a longer interval of ongoing environmental change, that should make us particularly concerned about potential parallels to global change happening in the world around us right now." I wonder if a very small but highly dense object hit the earth at very high speed and punched a hole through the earths crust releasing the massive volcanic activity of the time all at once. We now see the signs of volcanic activity but not the signs of the impact since it punched a hole buried by the lava. Just my idle speculation. I like that theory Topcat, I would add that although small compared to the earth the object would still have be very large, and given the nature of the extinction (oceans getting it worse than land animals) the impact likely occurred in the ocean basin. Only 2 main bodies of water at that time, the main ocean and the Tethys sea.